A smart-thinking house plan which will have you thrilled if you are looking for a brand new 4 bedroom, 2 bathroom home with fabulous flow and loads of sun. 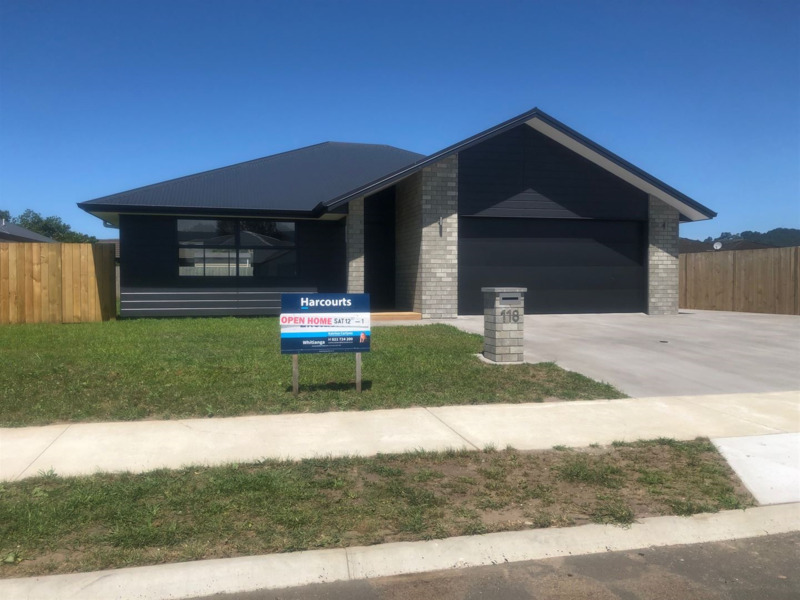 Low maintenance brick veneer and Linea Oblique painted weatherboards on a freehold 600sqm section with a private fenced backyard, complete with internal access, fully lined double garaging, concrete driveway and finished with a matching brick letterbox. Extras include a Fujitsu heat-pump, Fisher & Paykel appliances, composite stone kitchen bench tops, a walk in pantry and an interior of warm white tones. To add your personal touch you do your own plantings and landscaping. A superb lock up and leave. We believe this is excellent value for a brand new build in a brand new subdivision. Call me now to be in first.